First of four blog posts about my participation as a coach in the WeCamp18 event: scroll to the bottom for the whole series. Spring 2018, I got an email from Stefan Koopmanschap entitled “WeCamp 2018”. 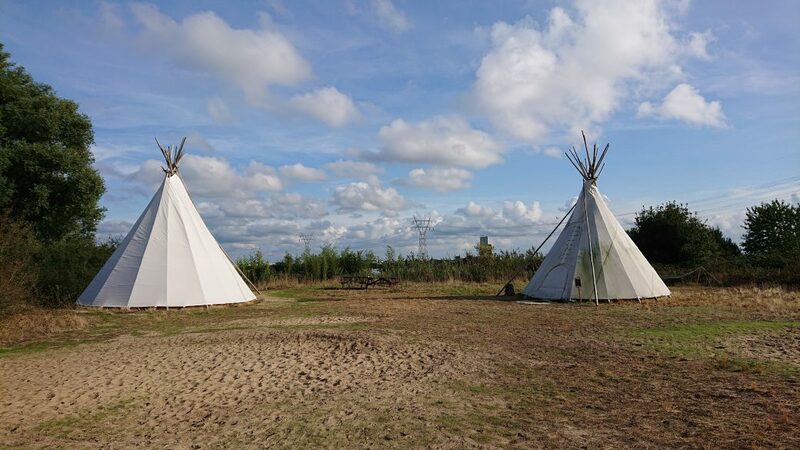 In case you’re not familiar with this event, WeCamp is a yearly coding retreat that brings web developers together on a private island to spend a week “glamping” and working on a project together as teams, under the guidance of a handful of coaches. WeCamp provides a unique setting where devs can work not only on their technical skills, but also communication and project management: all the necessary ingredients for smooth teamwork. Friends have spent years gushing about their experiences organizing or attending WeCamp, so I was well aware of the transactional impact this event seemed to bring about in people. And since I co-organize a user group of web developers, my first thought was, “perhaps they’d like some help to spread the word”. However, I quickly discovered Stefan’s actual reason for reaching out to me specifically: was I interested in being a coach at this year’s WeCamp? While I’ve been involved in the tech community for years, it’s always felt mostly from the sidelines. I’d started out as a +1 tagging along with my partner Ross Tuck whenever my “MD working on PhD” life allowed. And while I later joined in co-organizing DomCode with him, Lucas van Lierop and Joralf Quist, as well as hosted AmsterdamPHP’s Geeks&Games events for a while, it was never about tech for me. I was perfectly happy just to bring these awesome people together to learn and connect amongst themselves, whilst understanding very little of the actual content of tech talks or banter going around myself. By the end of my PhD, I came to the sudden conclusion that medical academia was not for me, and switched gears into healthcare IT as an information analyst instead. Although this career move brought me closer to tech, I am still not a professional developer nor hold any ambitions to become one. I need only understand just enough of both medical and technical worlds to help them understand each other, and I draw clear boundaries that I provide functional specifications for other people to work with on an actual technical level. No day-to-day coding for me, nope. So what was I, a non-technical analyst, going to do coaching a team of developers with whom I shared no such dev experience? The Impostor Syndrome was strong in me. Not only that: I was also not a fan of camping in any form whatsoever. To top it off, I consider myself a huge introvert who needs frequent alone time to recharge my social energy. Spending a full week on an island lacking indoor plumbing and sharing a tent with strangers working on stuff I likely wouldn’t directly understand was an intimidating concept, to say the least. But I could not call myself a PhD if I hadn’t immediately been triggered into researching this so-called “WeCamp Experience” further, before making any final decisions. I started reading up previous years’ tweets and blog posts (2014 / 2015 / 2016 / 2017) and asking around some of those friends who had been coaches or attendees before. I sent Stefan an email back with those same questions and doubts. All these people I asked were pretty much unanimous: they thought I was a good fit for the job, not despite but because of my non-technical perspective bringing something new to the island. And the crew reassured me that they would match me with senior devs so I wouldn’t have to worry about my lack of technical skills: the team could handle that by themselves just fine. So I decided to trust that these other folks trusted me, told that tiny voice in the back of my head to shut up, and took the leap in accepting the offer. The months that followed flew by quickly and were filled with many moments of anxious but excited anticipation. Getting to know my fellow coaches on Slack, being surprised with my coach announcement and avatar on my birthday, seeing the deadline for tickets drawing nearer and nearer. Then ticket sales closing, attendees joining on Slack, travel plans being made. In our private coach channel, everyone was buzzing with being “nervous and excited and delighted” all at the same time as things became ever more real. And then it was Monday, August 20th, which meant go-time for us coaches and crew, to get ready for attendees arriving the following morning.